I loved hearing the news, seeing the pictures, eating “goodies” and smelling flowers. It really makes me feel I’m part of the “family”. Thanks for including me. I hope your holidays were as wonderful as mine. I’ve been so bad about updating my blog but I do have an excellent excuse. My new grandbaby held me captive during the holidays. I so enjoyed her and having all my kids here for Christmas. In the last two months 3 boys and 1 girl have been born at Great Expectations. It would have been 4 boys to 1 girl if we could have convinced a 9# 3 oz. baby boy to come out. Instead he wanted to be born at the hospital despite all the hard work his mom did. I’ve heard he’s a very mellow baby though. 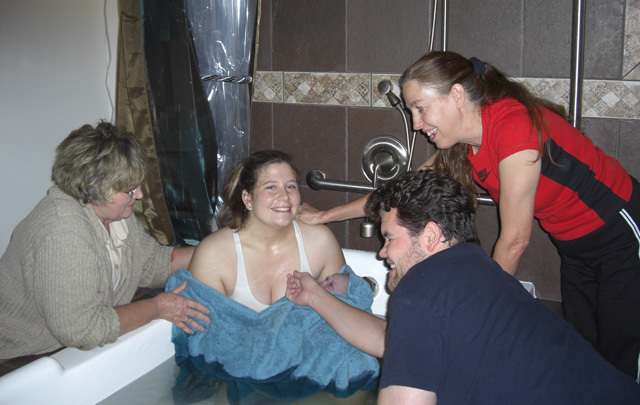 You are currently browsing the Great Expecations Birth Care blog archives for January, 2009.